When you sign up for a gym, chances are that if you’re really serious with working out, that you will be a member for quite some time. This means that you have to make the gym environment as conducive as possible. Not only for you but also for the other people around you who hit the gym with the hope of building their muscles o for whatever reason. You can make both your experience and that of the others around you to be a living hell or you can have the best time possible. 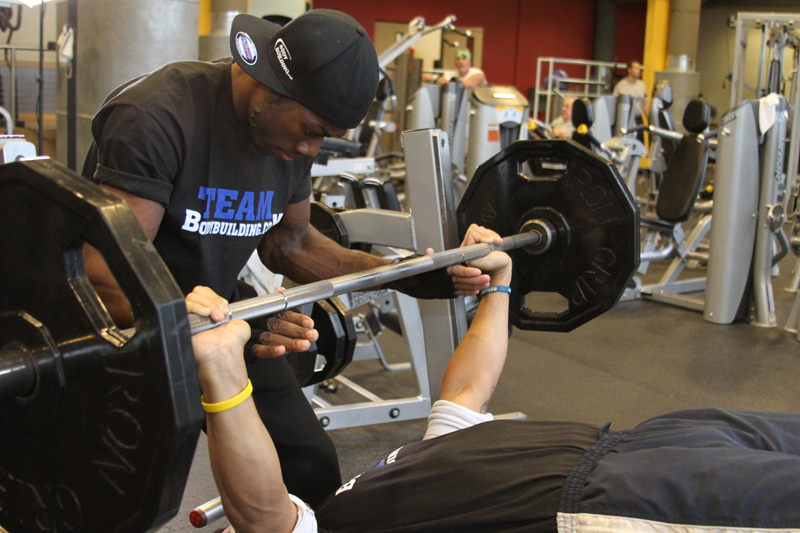 Here are some tips or rather some instruction that will make the gym work friendly for everyone. Working in the health or food industry is not the only place where you will be required to observe high standard of hygiene. Believe me; you can make some one pass out just because you’re not so keen on hygiene. The first thing you should check before signing up at a gym is how clean it is and the condition of its changing rooms. Always take a shower immediately after working out. Drinking a lot of water somehow causes your sweat to be diluted and hence it won’t smell as strong as that of a poorly hydrated person. Also, ensure that you clean your gym clothes after every session in the gym. Put them I the washing machine as soon as you enter the house, that way you won’t run out of clean clothes to wear, forcing you to recycle some dirty ones. Gym sock are the stinkiest little things and they too are no exception. Also, ensure that your armpits are well shaved before hitting the gym. If you have a lot of chest hair and you simply don’t see yourself waxing your chest, work out with a vest or a t-shirt on. It is very irritating to have someone constantly trying to make a conversation when you can barely catch your breathe as you work out. If you really must have a long conversation with someone, wait till their done working out and grab a bite together on your way home. One of the things that greatly irritate me is hearing someone yelling into his phone non-stop! I out my phone on silent and I only pick the most important calls. If you didn’t finish your work in the office, the gym is not the place to make your long conference calls. If you have a problem with sharing gym equipment, then buy them and stay at home with them. In the gym, every one has an equal right to all equipment and this means that you should try as much as possible not to linger onto one. Finish your exercises fast keeping in mind that someone else wants to use the equipment too. Have a small towel and wipe your sweat and saliva from the machine. Return everything where you found it and never leave weights lying around the floor. This entry was posted in Bodybuilding and tagged Bodybuilding Gym, Bodybuilding Rules, Gym Behavior, Gym Etiquette, Gym Partners, Gym Training, Gym Workout Program. Bookmark the permalink.